Diep Huynh, a Vietnamese lady, when living in Houston, Texas, discovered that her abdomen was bloated. It swelled from size eight to size sixteen and was throbbing with pain. She visited a doctor at the Hong Kong City Mall in Houston. The doctor’s initial diagnosis was not good. He recommended Diep to have a colonoscopy for a more accurate diagnosis. The doctor suspected that she had a tumor because her abdomen felt hard like rock. Diep was shocked. She had migrated to America so as to have a better future and now this. She had no money or insurance for any expensive medical treatment. As she left the doctor’s office, she did not know what to do. She was desperate for someone to tell her what to do. Then a sign in Vietnamese caught her eye. Someone had set up a booth in the mall that put up sign that offered ‘Healing Prayer’ for Americans and also for Vietnamese migrants. Diep approached the prayer booth and asked for prayer. Pastor Khanh and his ministry partner, Jordan, laid hands on Diep and commanded the tumor to be gone in the name of Jesus. Diep felt something literally moved inside her abdomen. She felt a definite sensation of fluid coming out of her and wetting her pants. But as she touched the pants, they were dry. The poor lady then grabbed hold of her pants because they were dropping down. Something had happened to her abdomen as it had shrunk to its normal size. Diep was completely healed and in gratitude, she accepted Jesus Christ as her Savior and Lord. The story did not end there. Diep began attending the Vietnamese Baptist Church. She became burdened for the salvation of her family members that were still in Vietnam. She sent them letters that included her pastor’s sermon notes and torn pages of the Vietnamese bible. Through her distant witnessing, her family members in Vietnam accepted Christ as their Savior. These new Christians witnessed to others in their hometown. When Diep had a chance to visit her motherland, she shared with the people in her hometown what the Lord had done for her. Hundreds of Vietnamese gave their lives to Jesus because they did not just listen to the testimony but also experienced actual miraculous healing in the name of Jesus. God began to use Diep to minister mass healing to large crowds in the mighty name of Jesus. The latest that I have heard is that out of her ministry, four new churches were established. Pastor Khanh and his team were trained by Pastor William Lau in one of The Elijah Challenge Training seminars. 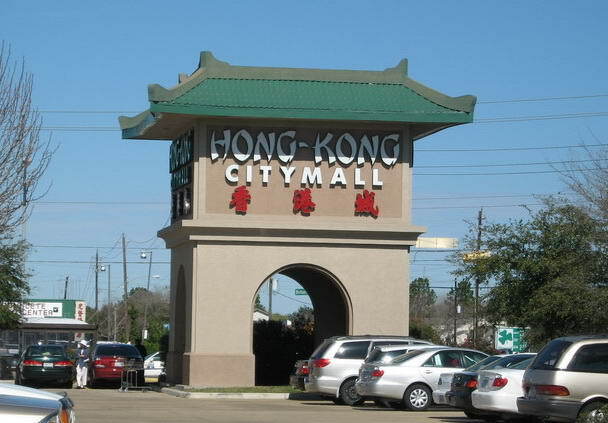 Today, they continue to operate the Healing Outreach at the Hong Kong Mall in Houston, Texas. Today, every Saturday, about 100 people are accepting Christ as their Savior at this Healing Outreach. The Vietnamese Baptist Church in Houston, Texas is now known as the fastest growing Vietnamese church in North America.